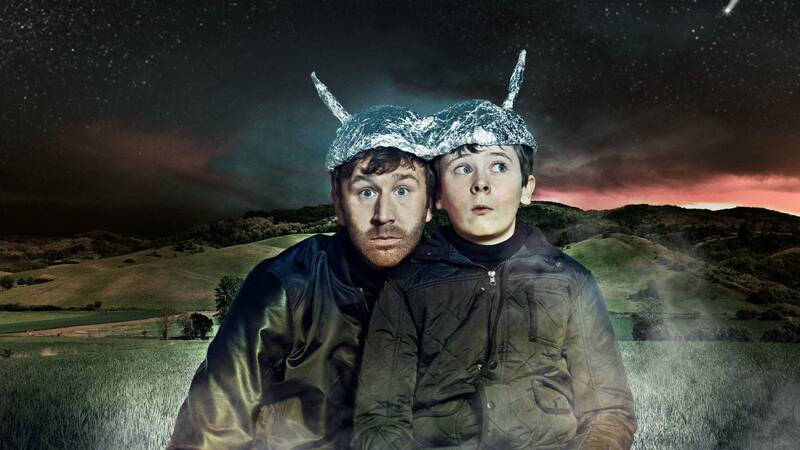 Now set in the 1990s, this warm and funny series sees 12 year old Martin Moone embarking on more ridiculous schemes, with imaginary friend Sean Murphy (Chris O’Dowd) usually on hand with his not always helpful advice! On a trip to Dublin, Martin and best friend Padraic’s latest escapade sees them becoming surprisingly successful door-to-door salesmen. Meanwhile, Moone parents Liam and Debra’s weekend away to celebrate their 20th wedding anniversary doesn’t go quite as planned, thanks to an unexpected encounter with Liam’s old flame. With the small Moone house bursting at the seams when older sister Fidelma and new husband Dessie move in with their baby, Martin secretly sets to work creating his own luxury pad in the roof-space. And there’s a blast from the past when Grandad’s own childhood imaginary friend George Gershwin reappears.